/co/ - Comics & Cartoons » Searching for posts with the image hash ‘ec8xki/yuJ6/E///MloujQ==’. Searching for posts with the image hash ‘ec8xki/yuJ6/E///MloujQ==’. 2 results found. I drafted out some ideas for a crossover with Steven Universe and Godzilla. >SU-wise, it would take place sometime during Season 5, after "The Trial" and before "Reunited"
>Homeworld would end up creating SpaceGodzilla by combining Godzilla's DNA with the essence of Yellow, Blue, and White Diamond. >Appearing kaiju would be Godzilla, Mothra, Rodan, Anguirus, Minilla, King Ghidorah, Gigan, a rebuilt Mechagodzilla, and SpaceGodzilla. 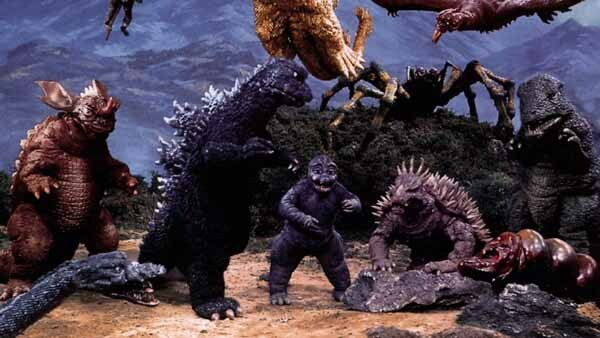 >Debated having Megalon, Jet Jaguar, and Baragon appear as well, though didn't want to have it get too crazy with the monsters. >Godzilla, Rodan, and Mothra appear in their designs from Final Wars(Rodan colored to resemble his classic brown design). Gigan would initially appear in his Showa form then get upgraded to his Final Wars form. >"Reunited" would occur, which is where SpaceGodzilla would make his debut. I would love to write this out, but I don't know if I have the time with school and other projects I'm working on.